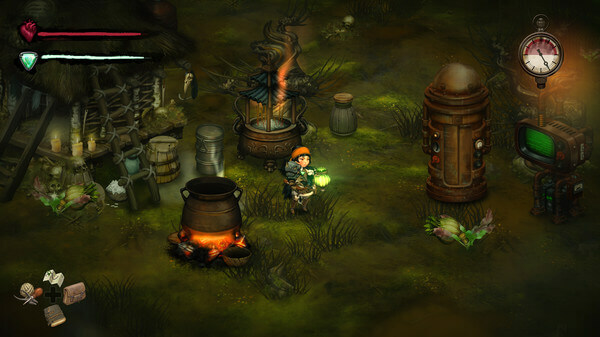 Publisher Curve Digital and developer Solar Sail Games announced that a hand-drawn narrative driven RPG game Smoke And Sacrifice will launch on January 15th, 2019 for Xbox One and PlayStation 4. Smoke And Sacrifice have previously been released on PC and Nintendo Switch. Smoke and Sacrifice is a hand-drawn narrative driven RPG game in which Sachi a mother who is compelled to surrender her son, Smoke and Sacrifice sees Sachi experience into an odd black underworld on a mission that will lead her to a darker truth. "Smoke and Sacrifice is an open-world, narrative-driven RPG, where exploiting living ecosystems is the key to your survival. Craft, fight, survive and explore the huge open world in this beautifully hand-painted, gothic adventure where every character has their tale to tell. With the odds stacked against her, strange creatures challenging her every step, and the ever-looming smoke waiting to steal life and memory, will Sachi ever discover the truth of what happened to her son?" Smoke And Sacrifice will launch on January 15th, 2019 for Xbox One and PlayStation 4.